Muhammad Ali, arguably the greatest sportsman of the 20th century, died at the age of 74 last Friday. Like millions of other people around the world, I learned the news of his death while scrolling through my Twitter feed, then spent the next few days reveling in the steady stream of remembrances served up via social media to pay respects to the man who rumbled through a long life full of personal and athletic highs and lows, radical political defiance, and social activism. There were the GIFs of Ali showing off his fancy footwork while playfully sparring with Howard Cosell during an appearance on ABC’s Wide World of Sports. There were the clips of Ali deftly schooling many (many) clueless white people on everything from the reasons for his uncompromising pride, to his religious beliefs, to his diehard love of black people, to the hypocrisy inherent in the U.S. involvement in the Vietnam War. There was David Remnick’s eulogy in The New Yorker. 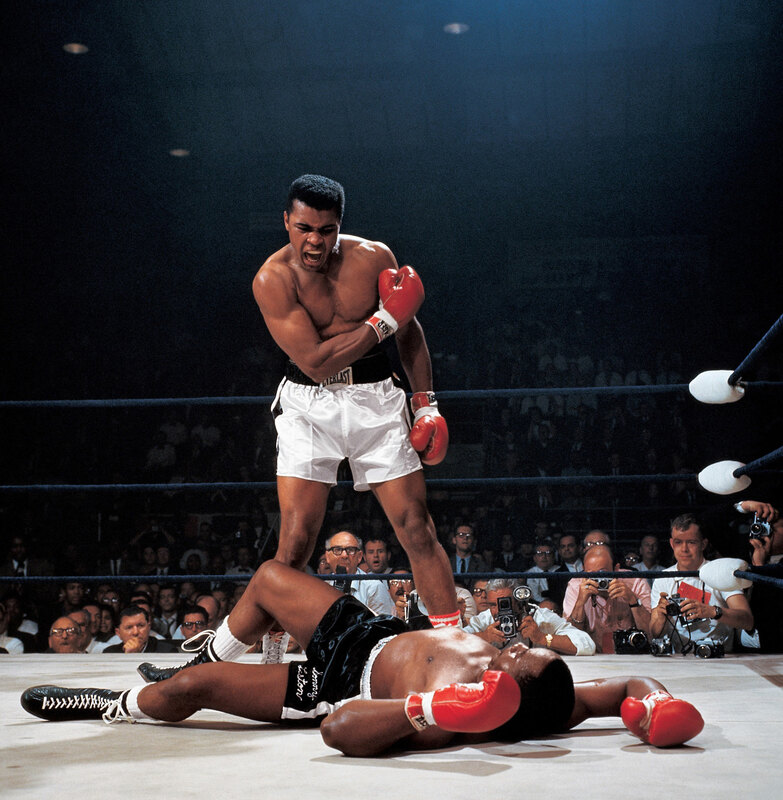 And, of course, there was the iconic photo of Ali tauntingly towering over a prone Sonny Liston after knocking him out mere minutes into their second matchup in 1965. Muhammad Ali lights the Olympic Flame during the Opening Ceremony of the 1996 Olympic Games in Atlanta, Georgia. To Bob Costas, the sight of Muhammad Ali as a slow-moving middle-aged man with a pronounced tremor—who could still speak at the time, but only faintly—represented the saddest of all the sad possible endings to his remarkable story, as disability usually does to the nondisabled. But to me, a 12-year-old disabled girl watching the 1996 opening ceremonies at home with her mom and sister, the sight of Ali up there, proudly, in front of the world, was amazing. It made me feel like my irregular body didn’t require an explanation or an apology. Granted, I was a tween who hadn’t accomplished anything yet, especially compared to what Ali had achieved in his life, but I existed just like he did. If he could be proud of that simple fact, then so could I. This is where so many nondisabled writers stumble when discussing Ali’s Parkinson’s, as well as disability and illness in general. Our disabilities don’t completely define who we are, but they are integral parts of our identities. Despite how things may appear at a glance, disabled people aren’t constantly suffering or held captive by our conditions. We’re out here doing big and not-so-big things every day. And we’re not doing things despite our disabilities—we’re doing things because that’s what it is to be alive. Why demean that with language that implies we’re poor, unfortunate beings because our bodies or minds don’t look or function the usual way? Pity is only of use if it’s asked for. As Muhammad Ali aged and his Parkinson’s progressed, he continued to be many of the things he had been in his youth: human rights activist, family man, globally beloved cut-up. His condition didn’t take any of that away from him or from us, though Ali’s body may not have been able to do what it could back when he was so pretty. Like commentator Mike Breen said when discussing Ali’s death with his fellow announcers during Game 2 of this year’s NBA Finals, Muhammad Ali lived a dignified life with a condition that can sometimes make you feel undignified. So do we all. Krystal is a writer who lives in Oakland.